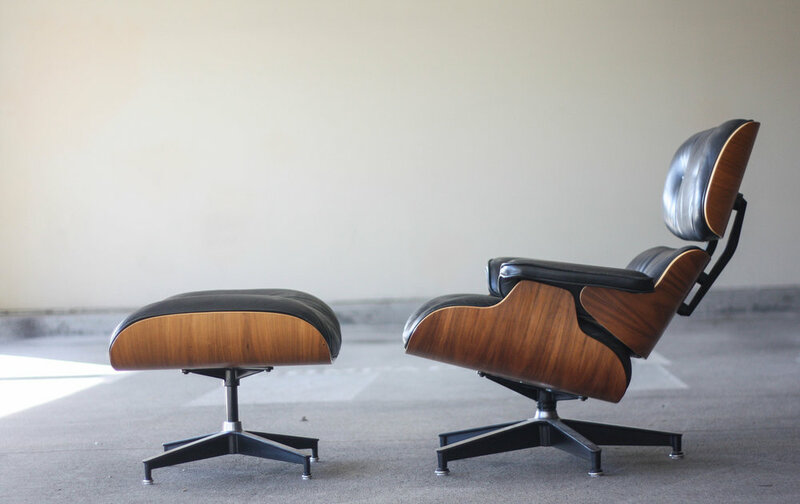 We probably don't need to say much as the Eames 670 Chair and 671 Ottoman is arguably the most iconic chair of the mid century era. The pictures do most of the talking showing the beautiful walnut graining and in some of the close ups you can see the very gentle patina and minimal signs of use. 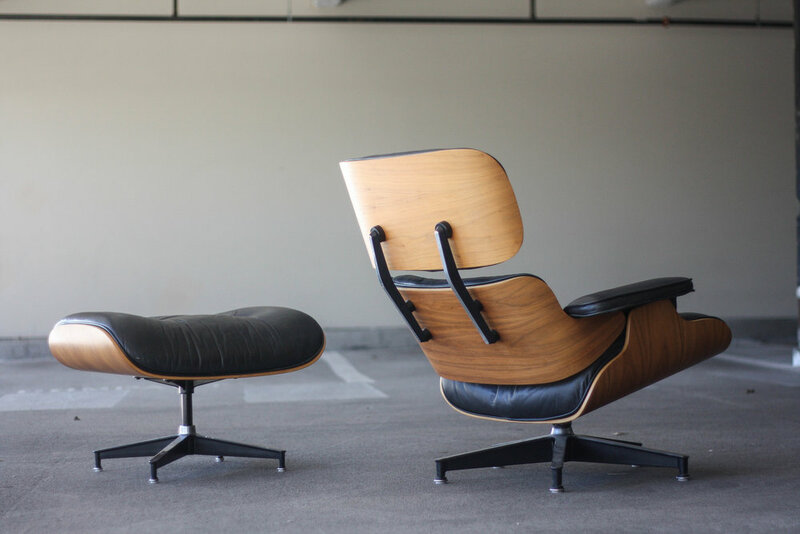 Herman Miller label on the bottom of the chair and ottoman. Shock mounts are perfect with no structural compromises or concerns.